On Sunday, February 10 the second annual Forge Festival celebrates the art of blacksmithing through live demonstrations, hands-on activities, musical performances, tomahawk throwing, artisan metal and craft marketplace and other family-friendly activities. 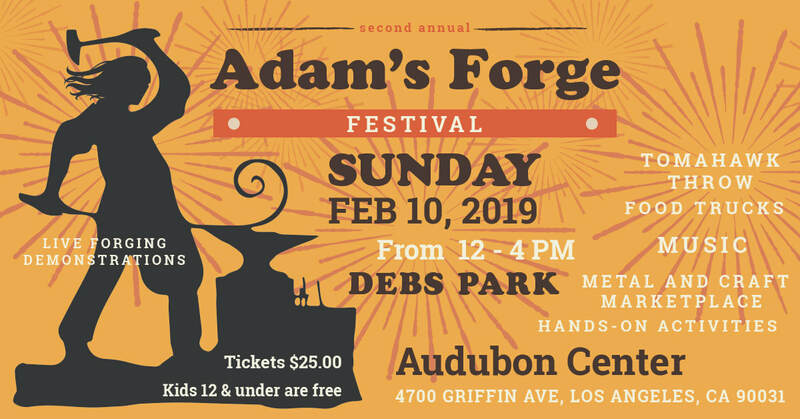 Hosted by Adam’s Forge, a blacksmithing school founded 2002, The Forge Festival takes place from noon to 4 p.m. at the Audubon Center at Debs Park. Tickets are $25, and children 12 and under are free. Check the link below for additional information and to purchase tickets.